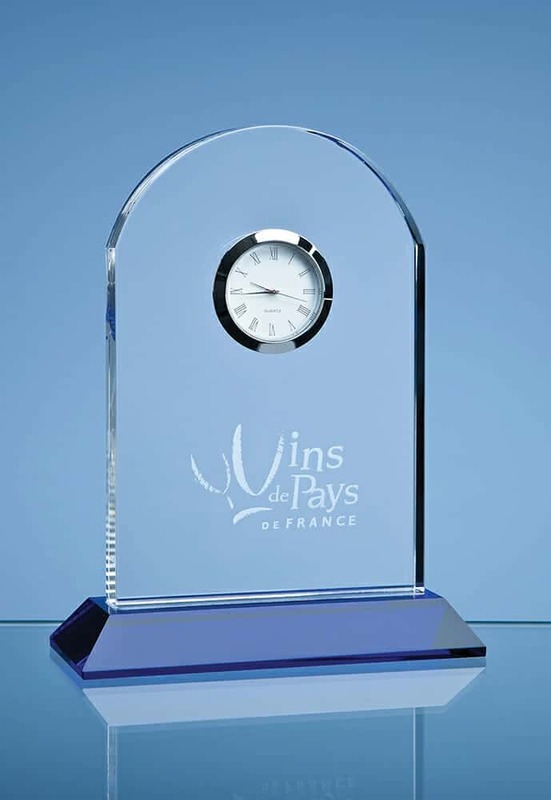 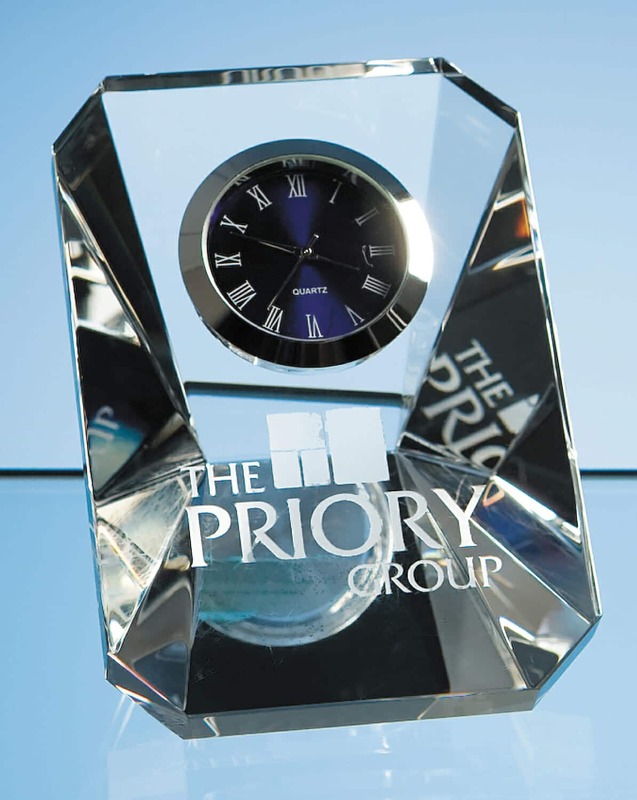 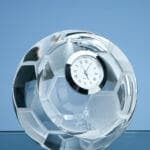 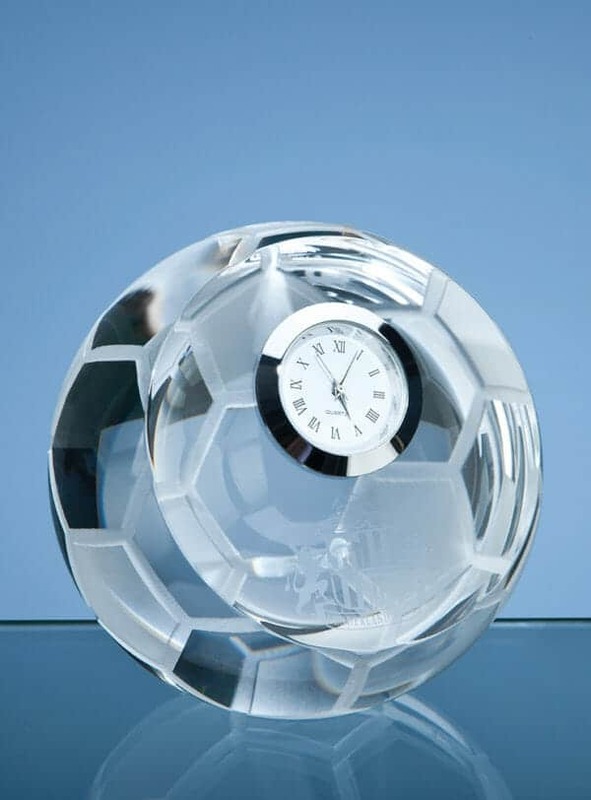 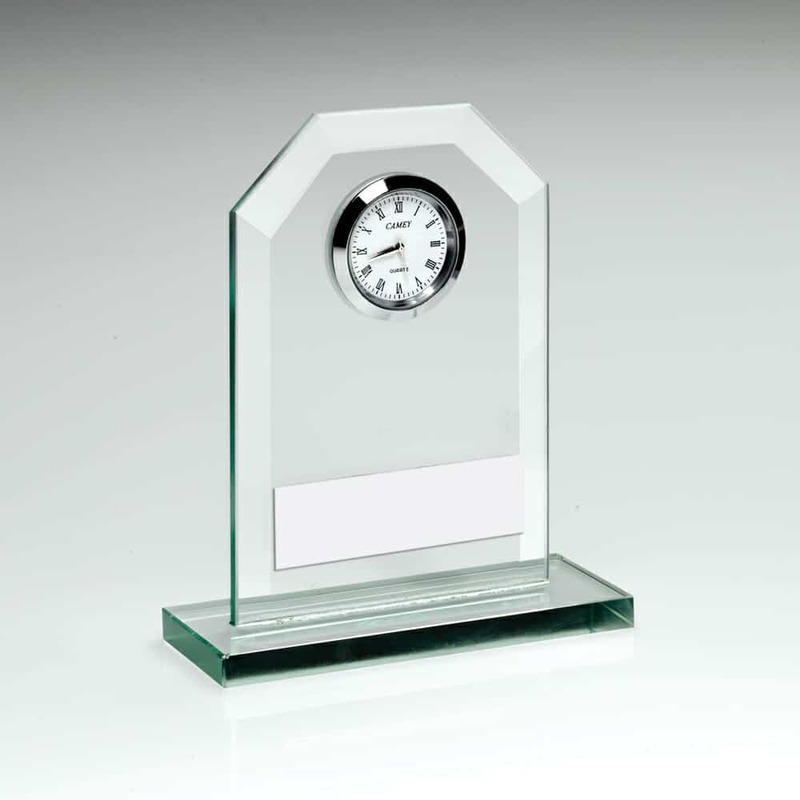 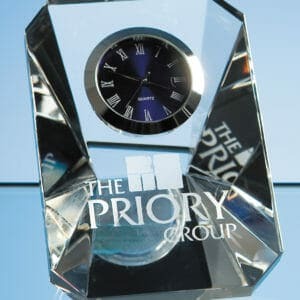 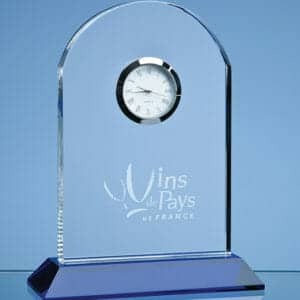 This Optical Crystal Football Clock Award is the perfect football themed memento, ideal for Football Club Presentations. 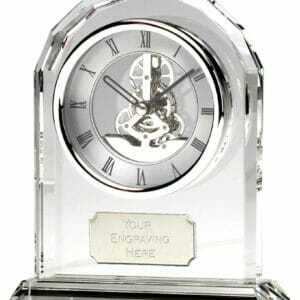 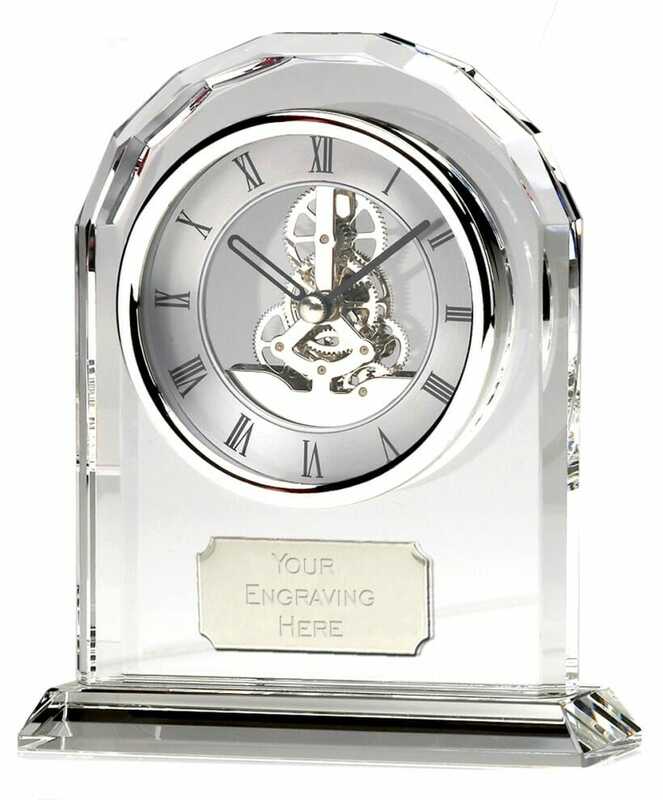 A flat base ensures it stays put and will be engraved on the flat front surface with your message and small logo (+£6). 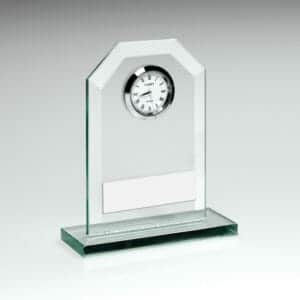 Supplied in a foam lined presentation box.